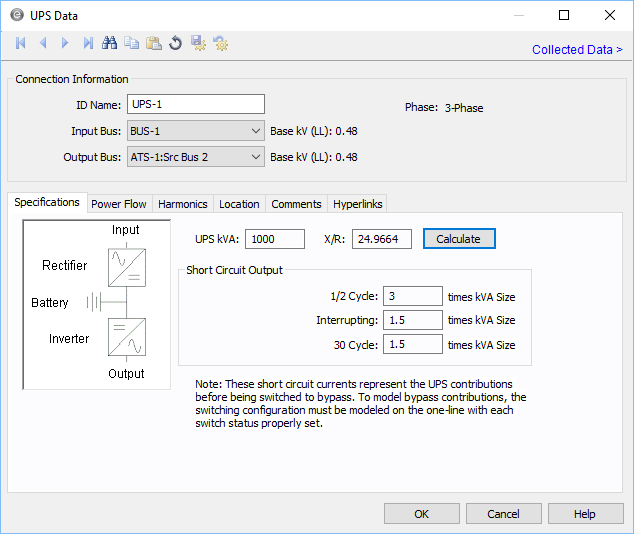 For uninterrupted power supplies, the program automatically assigns the names UPS-1, UPS-2, UPS-3, and so on. The ID name of the bus connected to the input branch. The bus voltage determines the input voltage rating of the UPS. The ID name of the bus connected to the output branch. The bus voltage determines the output voltage rating of the UPS. UPS kVA kVA rating of the UPS. 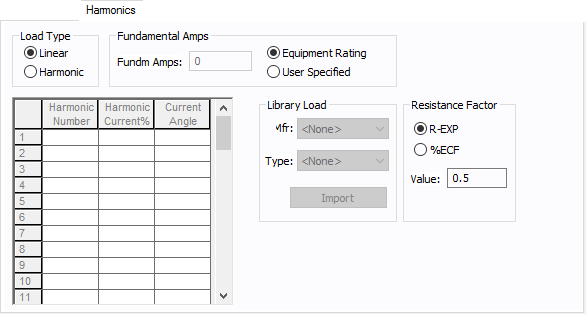 X/R X/R ratio used for short circuit calculations at the output. ANSI: Short circuit contribution at 1/2 cycle (momentary). IEC: Short circuit contribution for initial current. The value is entered as a multiple of the kVA rating. ANSI: Short circuit contribution at 5 cycles. IEC: Short circuit contribution for breaking current. ANSI: Short circuit contribution at 30 cycles. IEC: Short circuit contribution for steady state current. % Efficiency Efficiency of UPS in delivering active power to load. When there is no battery charging, input active load is equal to output active load divided by efficiency. % Battery Charging Power consumed in charging battery, expressed as percentage of Rated kVA of UPS. 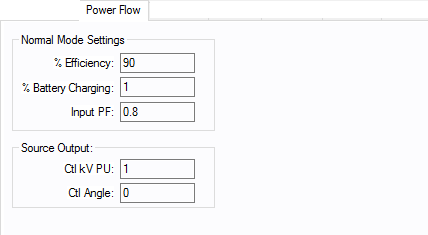 Input PF Power factor of input. Ctrl kV PU The per unit output voltage of the UPS, which the UPS tries to maintain. Ctrl Angle The output voltage angle of the UPS, which the UPS tries to maintain.